every summer to enjoy this annual event. 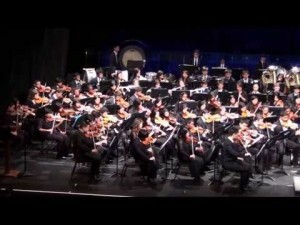 The concert is the finale in a four week long music camp that is organized by Foundation volunteers and student directors. These teens not only improve their music skills but also learn the importance of leadership and community service while spending the summer with their friends. 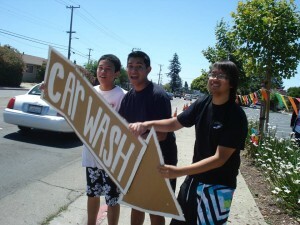 Local teens and Foundation volunteers gather each summer to hold a fundraising carwash. In addition to raising funds to support Foundation activities, the event provides an opportunity to educate the public about the Foundation’s mission. In addition, it is a great day out in the California summer sun for everybody! 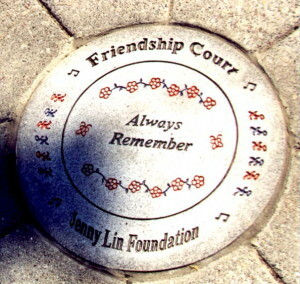 Inspired by Jenny’s love for her friends, school and music, family members and volunteers began the Friendship Court project to help beautify the Canyon Middle School campus where Jenny was a student. The purpose of this project was to not only beautify the school but to also provide students a safe, well-lit outdoor area to gather for social events or wait for parents after school. The project was a labor of love for Jenny’s family, volunteers, supporters and the Castro Valley School District for over 2 years and culminated in a dedication ceremony on May 26, 2001. The Defensive Living Fair is an event which aims to educate the public about personal, household, and child safety. Past participants include the American Red Cross, Alameda County Sheriff’s Department, the Alameda County Fire Department, Eden Hospital, Child Assault and Prevention, and Eagle Claw Kung Fu Studio. Check back at this website to learn about the next Defensive Living Fair. Besides the scheduled safety and music events, the Foundation also sponsors or participates in community activities on an ongoing basis. Foundation Board members often take part in gatherings organized by community leaders and speak to interested parties concerning child safety issues. Foundation staff and volunteers often participate in community activities such as the Castro Valley Fall Festival, the Oakland Chinatown Festival, and many others.